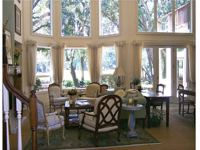 Hilton Head Magazines: CH2/CB2: Want to Live Here? 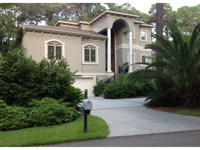 : Now is the Right Time to Buy in the Lowcountry! Want to Live Here? 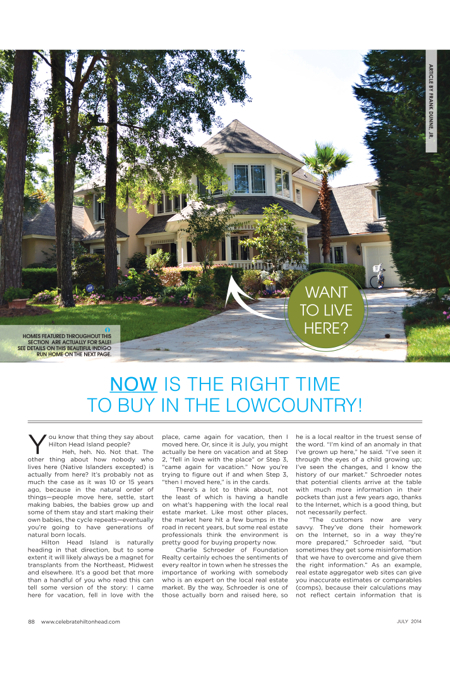 : Now is the Right Time to Buy in the Lowcountry! 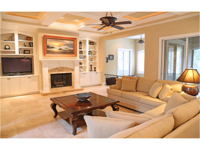 Homes featured throughout this section are actually for sale! 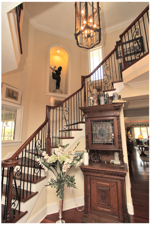 See details on this beautiful indigo run home on the next page. You know that thing they say about Hilton Head Island people? Heh, heh. No. Not that. The other thing about how nobody who lives here (Native Islanders excepted) is actually from here? It’s probably not as much the case as it was 10 or 15 years ago, because in the natural order of things—people move here, settle, start making babies, the babies grow up and some of them stay and start making their own babies, the cycle repeats—eventually you’re going to have generations of natural born locals. Hilton Head Island is naturally heading in that direction, but to some extent it will likely always be a magnet for transplants from the Northeast, Midwest and elsewhere. It’s a good bet that more than a handful of you who read this can tell some version of the story: I came here for vacation, fell in love with the place, came again for vacation, then I moved here. Or, since it is July, you might actually be here on vacation and at Step 2, “fell in love with the place” or Step 3, “came again for vacation.” Now you’re trying to figure out if and when Step 3, “then I moved here,” is in the cards. There’s a lot to think about, not the least of which is having a handle on what’s happening with the local real estate market. Like most other places, the market here hit a few bumps in the road in recent years, but some real estate professionals think the environment is pretty good for buying property now. Charlie Schroeder of Foundation Realty certainly echoes the sentiments of every realtor in town when he stresses the importance of working with somebody who is an expert on the local real estate market. By the way, Schroeder is one of those actually born and raised here, so he is a local realtor in the truest sense of the word. “I’m kind of an anomaly in that I’ve grown up here,” he said. “I’ve seen it through the eyes of a child growing up; I’ve seen the changes, and I know the history of our market.” Schroeder notes that potential clients arrive at the table with much more information in their pockets than just a few years ago, thanks to the Internet, which is a good thing, but not necessarily perfect. 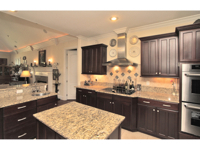 “The customers now are very savvy. They’ve done their homework on the Internet, so in a way they’re more prepared,” Schroeder said, “but sometimes they get some misinformation that we have to overcome and give them the right information.” As an example, real estate aggregator web sites can give you inaccurate estimates or comparables (comps), because their calculations may not reflect certain information that is specific and unique to the local market. 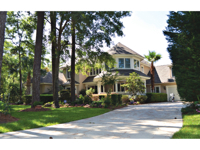 Schroeder admits that some buyers are pretty disappointed when they discover the spread between their Internet-generated estimate and the actual list price; but when you remind them why a similar home on Hilton Head Island might cost a bit more than back home, they catch on pretty quickly. That is, back home probably isn’t a sub-tropical, sun-splashed sea island, which are some very desirable, in-demand qualities for a community. Andy Twisdale of Charter One North Realty agrees. “We’re now in the third generation of people vacationing on Hilton Head, so we have a history of people having a lot of great memories here. They’ve been planning for a long time to come here since discovering that our natural beauty is so much nicer than so many other places. When they think about some of those other places, we’re less crowded, we’re not as big, and we have the natural beauty. It’s got so many interesting things going on. We’re very fortunate.” And chances are, whether you live in a single family home or a condo, you’re going to look out your window and see something beautiful: a maritime forest, a lagoon or tidal creek teeming with indigenous wildlife, a fairway, a harbor, Spanish moss draped live oaks and palmetto trees, maybe even Calibogue Sound, Port Royal Sound, or the Atlantic Ocean. Consider other destination resorts, Kiawah, Fripp Island, Tybee Island, for example. You’re at the beach and everything is directed at the tourist. Here on Hilton Head Island, we have the cultural elements like art, theater, music, festivals, and parades as well as neighborhoods where you have real neighbors. You can also hop across the bridge to stroll around Old Town Bluffton, a quintessential small town downtown. It is a true hometown. A few years ago, home values were dropping dramatically all over the country. Buyers stayed out of the market. Who’s going to invest in something that’s almost surely going to lose value? “I’m waiting until we hit the bottom,” was a phrase heard ad nauseam. It was true here, but some in the business think that we reached that bottom and values are just beginning to rebound. 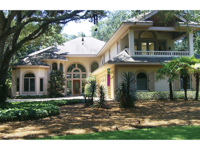 Average sale prices for Hilton Head Island homes inched up from the year before in 2013 for the first time since 2007, and the median price rose after six consecutive years of decline. Although down from a high point in 2005, the volume of units (homes) sold per month has increased each year since 2008. Traditionally Florida has been considered America’s retirement community mecca (Who can forget Morty and Helen Seinfeld’s exploits at Del Boca Vista Phase II? ); but the South Carolina Lowcountry makes a pretty good case for itself, and Wilson, for one, doesn’t really see the Sunshine State as that much of a competitor. “I can tell you this, I haven’t lost that many people to Florida. It used to be that people would say, oh, Florida doesn’t have an income tax. Well, that’s true. They still don’t, but you should take a look at their property taxes.” He added that a lot of people who have lived in Florida come back because they miss things like trees and seasonal change. That last one is a very good point. 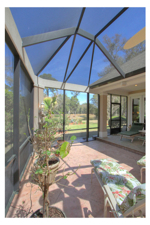 While Florida has basically two seasons; hot and hotter, Hilton Head Island and the Lowcountry enjoy a distinct spring, summer, fall, and a mild winter…none of that snow, slush and sleet. The changes in market dynamics over the years have changed the way people tend to plan their emigration to Hilton Head Island. “People used to come down here and they fell so hard in love with the island that they wanted to grab something while they could,” Wilson said. That something was usually a homesite that would sit for years and years until the owners were ready to build and move down here. 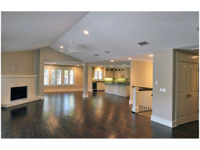 “It’s very easy to buy a homesite. People would come back year after year, dreaming of the day when they would build on their lots. Now what I see happening is people are buying closer to retirement than before. They’ll say, I’m retiring in two, three, maybe five years, and I want to get something while the getting’s good.” Again, the current buying opportunity means the getting is good to purchase a home right away rather than buying a lot and building later. For younger buyers, there is a whole other set of considerations: Can I get a job or start a business? How are the schools? (Some of the best in the state, and we’ve got a really cool rec center to boot.). Will we like it? Will our kids like it? We’re pretty sure that you will like it, so once you’ve got all the other stuff worked out, it’s time to get to work now. Because moving to Hilton Head usually represents a significant lifestyle change, some folks think about getting their feet wet first and renting for a year before buying a home. Schroeder advises against that. Remember, prices are pretty low now, but showing signs of moving up. “If you wait, you’re going to pay more. Buy it now and ride the increase in equity value,” he said. Twisdale agrees, and adds that the local condo market offers a unique opportunity for the modern homeowner, an “HGTV generation” as he calls it. He is referring to the dozens of home improvement television programs that have turned millions into home improvement do-it-yourselfers. 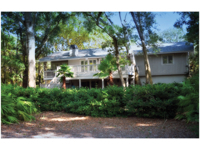 A good portion of Hilton Head Island’s condo inventory occupies relatively older buildings, which keeps them relatively affordable. 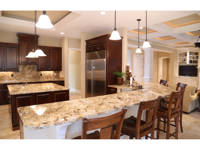 You can buy low and invest in renovations to help boost the property’s value. “Condos are an easy way to get into the market,” Twisdale said.